A good real estate marketing presentation should feature an engaging visual appeal, focus on the needs of the consumer market, and communicate your brand message as best as possible. 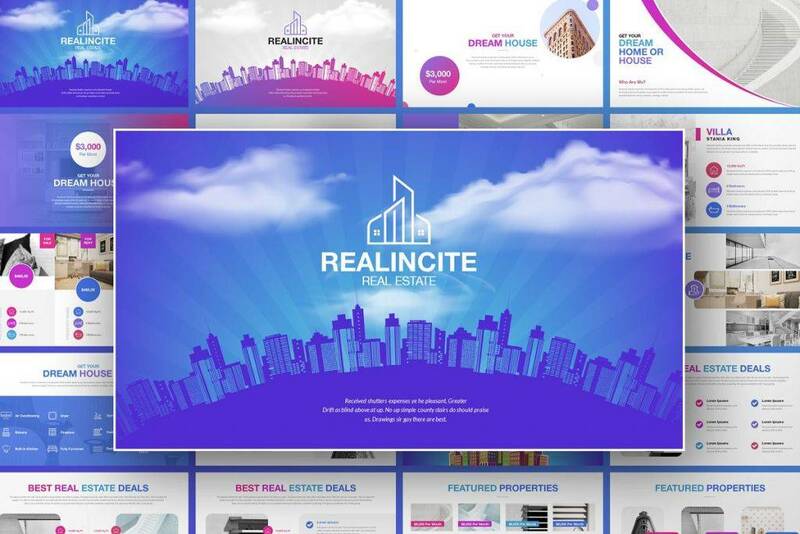 The following is a list of template examples that you can use to create a real estate marketing presentation for your business. You need a professionally designed presentation template to deliver a clear and engaging marketing message to your target audience. But, how exactly do you come up with a presentation that features improved visual appeal? While you can easily design a presentation template from scratch, it is always a good idea to download, customize, and use a pre-built template to save on time. The visual appeal of this template doesn’t just look good to the eyes. It also gives you the confidence you need to deliver your marketing message to your audience. That’s because the slides are so engaging that they give you the assurance that your target can easily understand your real estate marketing message. There is no one-size-fits-all approach to designing a real estate marketing presentation. However, you need to make sure that your slides are up to professionally acceptable standard. That’s why this collection is a good example to download and use to convey your marketing message. Before you use this template to create your marketing presentation, make sure you spend some time to understand your target audience. This will enable you to tailor your real estate message to fit the people you intend to reach. In fact, once you understand your target market, it becomes easier to create content that can benefit them as well as your business. 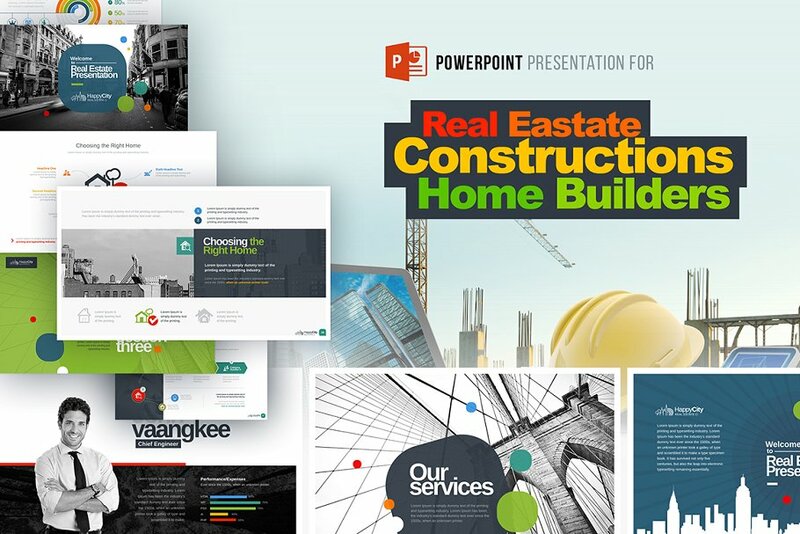 Why spend a lot of time creating a real estate marketing presentation from scratch when you can download a pre-built template for just a couple of buck? Download this sample template, create a marketing strategy, and then share the plan with your marketing team. It is a good option to use to create a consumer-targeted marketing presentation. This is a very huge collection. There are 200+ slides. Although each slide is easy to customize, the design is print ready. All the files are available in PowerPoint format, so everything – from text and graphics to charts and images – should be easy to edit. Real estate is big business. With so many potential customers searching for the best homes to buy or lease, there is a ready market for agencies and brokers that promote their deals well. One of the most effective ways to get the words about your real estate properties out there is by creating a real estate marketing presentation. And you can do that with the help of this sample template. This presentation is a professional communication tool that lets your target market to know more about your business as well as the products that you have in store. You can download it and use it to create a marketing plan for your real estate business. 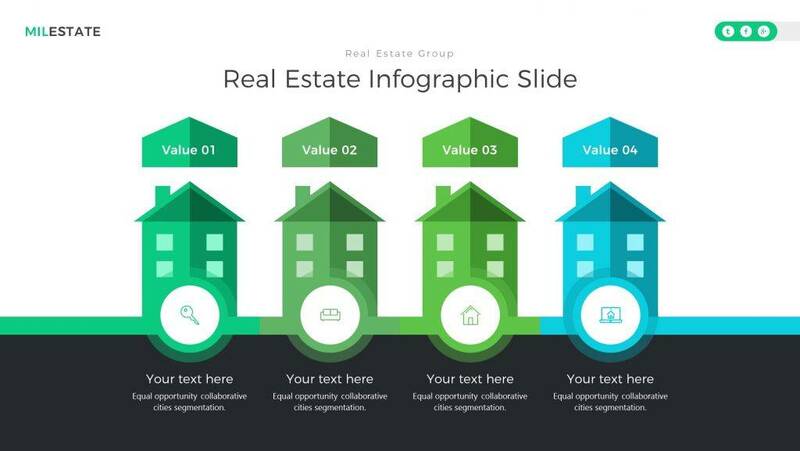 From object placeholders and infographics to unique fonts and professional layout, this template features the look and feel that you need to create a professional real estate marketing presentation. You get 100+ easy to edit, fully animated slide, with 110 Color Scheme and full documentation. 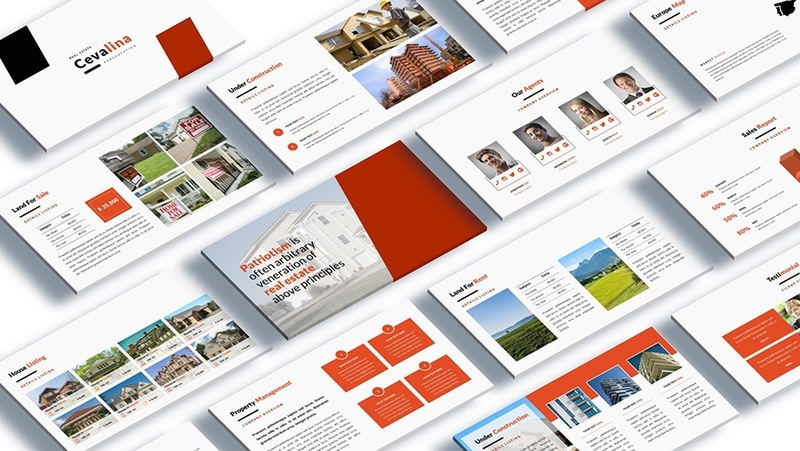 This simple marketing presentation template can help you to increase the visibility of your real estate brand, improve the presence of your business in the market, and make it easy for you to build relationships with your prospect. Remember to provide content that your target audience will find useful. This will enable you to stand out from the competition, build brand authority, and boost customer and prospects’ trust. You already know by now that creating a real estate marketing presentation from scratch is quite involving. It requires creativity, so you have to think outside the box. Also, it takes up a lot of your time and it can be quite labor-intensive. 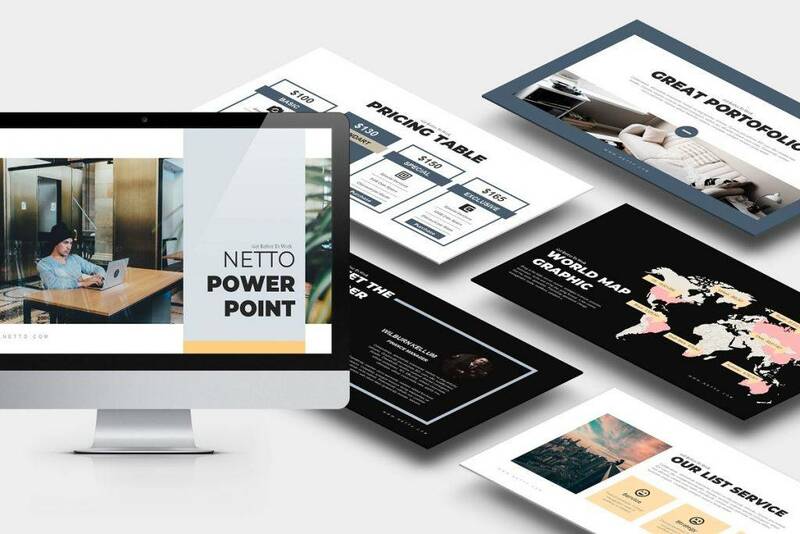 This pre-built, professionally designed presentation template is a good option to save the day. This example isn’t just a good example to use only because it saves time. As you can see, it features unique visuals that can easily grab the attention of your target audience. At the end of the day, your presentation gets a positive reception from your prospect and your existing customers. 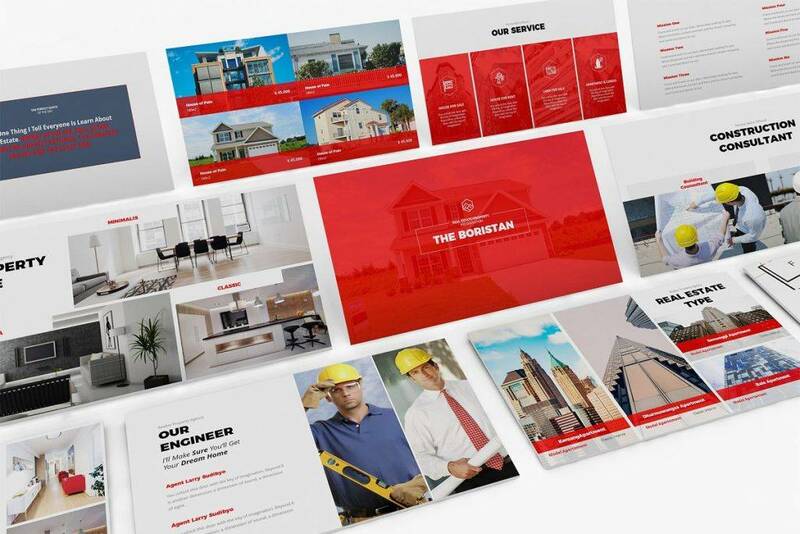 If you are looking for a clean, creative, professionally designed presentation template that you can use for real estate marketing, you should consider this template. 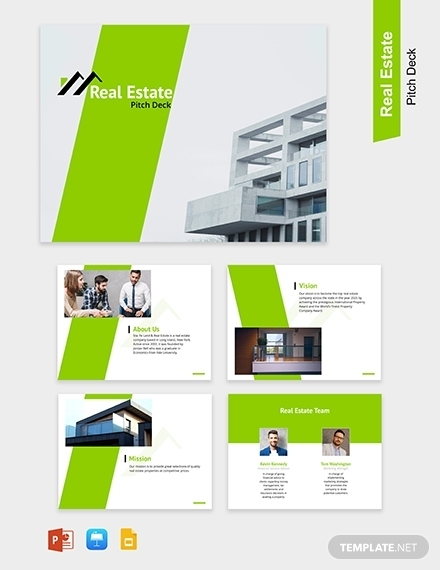 Whether you are a real estate agent, a marketing manager in a real estate agency, or a marketing employee in a corporate real estate, this template is suitable for you. Designed to help you save time on the design so that you can pay full attention to your marketing presentation, this simple template features all the elements that you need to put up a professional marketing message together. You get more than 75 uniquely designed slides, both in dark and bright theme style. Also, you get the best color variations for this presentation. We know that marketing a real estate business isn’t an easy task. Yet, it is the only business approach that brings customers to the business. More often than not, the very first thing that every marketing team needs to come up with is a marketing plan. And there is no better way to start than with a marketing presentation template. You never have to create this file from scratch. 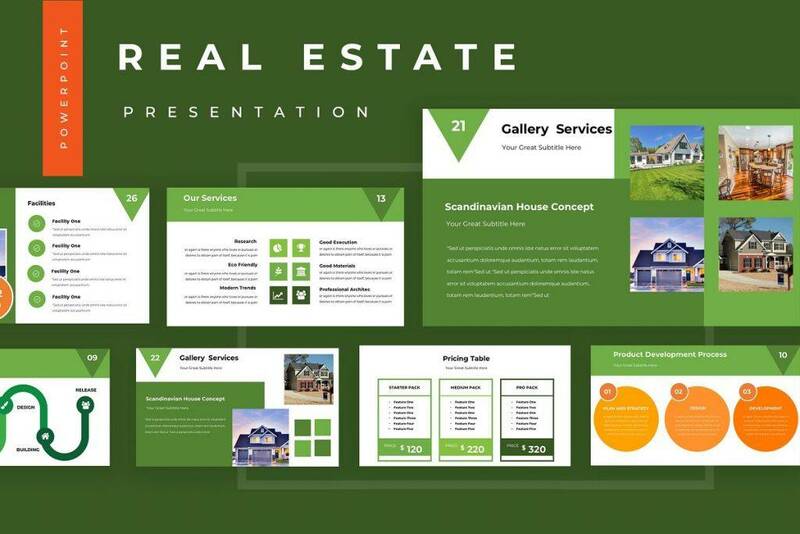 With a professionally designed, visually appealing presentation template like this, with easy to edit elements, all you have to do is to download the file and use it to create a professional marketing presentation for your real estate business. 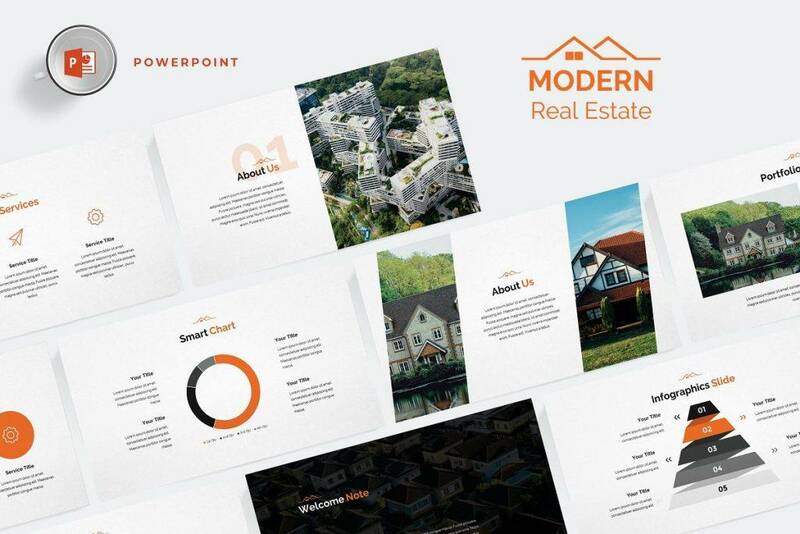 Use this sample template to create a unique marketing presentation for your real estate project. There are 60 visually appealing, easy to edit slides in this collection. Also, you get all the elements you need to create a professionally appealing presentation that can grab the attention of your audience. It is tiring to create a marketing presentation from scratch. In fact, a lot of time goes into designing slides and perfecting each to an acceptable standard. 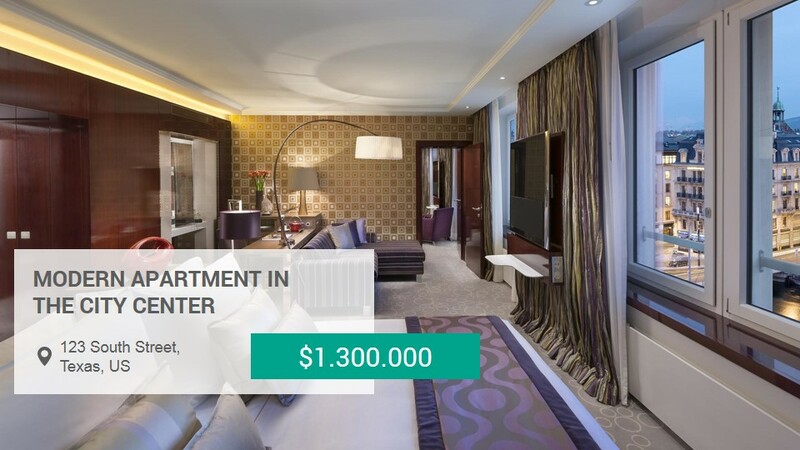 However, you can save yourself a great deal of time by simply using this pre-design presentation template for luxury real estate. The template is easy to edit.